We enjoyed the weekend walking to the Fisherman’s Wharf in January, 2005. 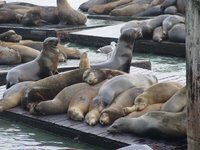 There were hundreds of Sea Lions along the coast. They barked loudly. They were so likable. Sometimes they might struggle or chase. 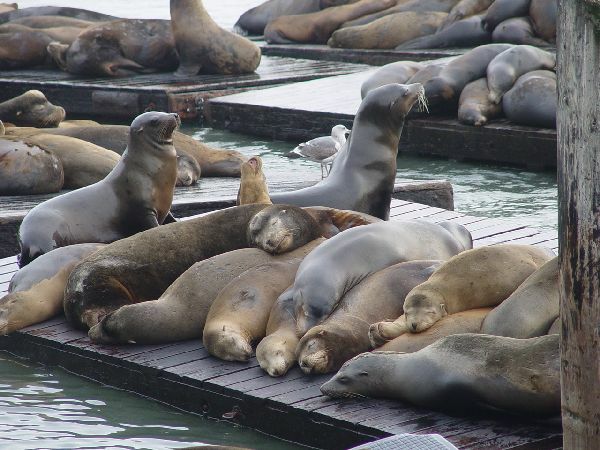 However, we appreciated that most Sea Lions sleeping so comfortable on the planks.